Improve job completion rates and boost your customer service by communicating with your clients at key points before, during, and after a job. 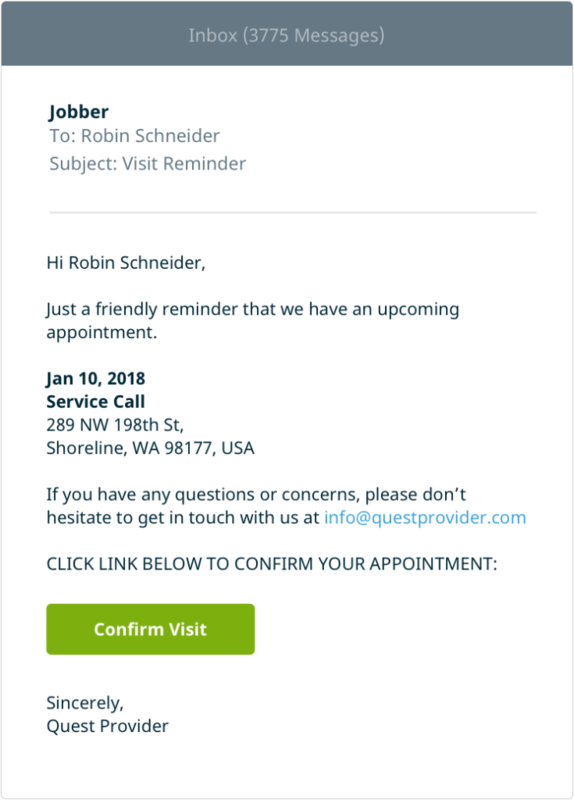 Cut down on cancellations when you remind your clients of upcoming service appointments with Jobber’s customizable automated email and text message reminders. Schedule an email a week before a visit, and a text message the day before—whatever works best for your workflow. When clients receive the message they can view their appointment details in client hub and confirm, or request a change if necessary. The result is more completed jobs, and less last minute cancellations. 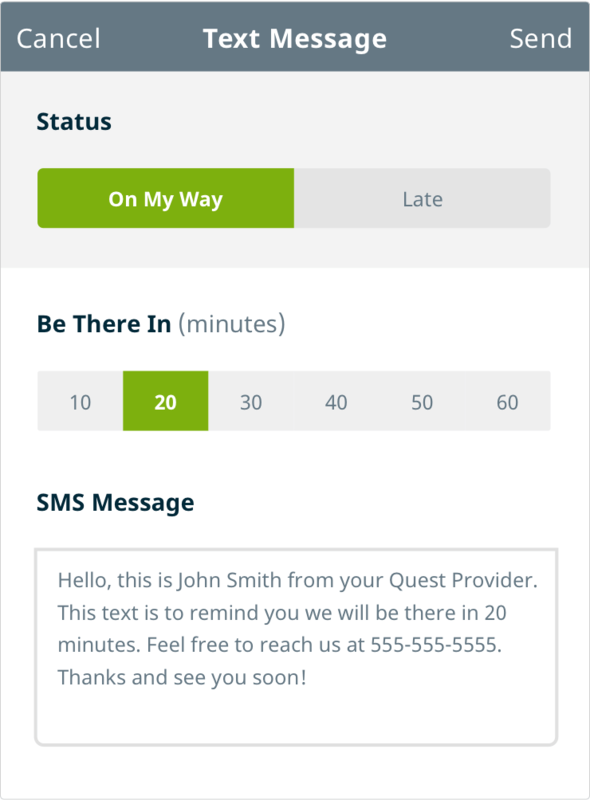 Your team can use the Jobber app to send clients a text messages letting them know when they’re on their way to a job or if they’re running late. Use a standardized message that includes your business phone number, and your team member selects how much time they’ll need to arrive at the job. Spend more time on actual work, and less time on coordination and fixing miscommunication. Automatically send clients a reminder to rebook, a request for feedback, or a simple thank you at the end of every job. You can customize Jobber’s email templates to work for your business goals, and you can add a survey option to your follow-up emails to get more detailed feedback. Use this feature to identify happy customers and ask them to leave a review for your business to impress potential customers. Our general email template, featuring your company’s branding, is a professional way for you to start a conversation with a customer. Use the email template to customize whatever message you want to communicate—with the added bonus of email tracking in Jobber. Offer a personalized promotion, follow up on unapproved quotes, check in on client follow-up survey feedback, and have a clear record of when an email was sent, who sent it, and if your client opened it.